Abundant with fascinating ancient culture that has transcended millennia, Ukraine constantly celebrates its ancestors’ past. One extraordinary aspect of the culture is the vyshyvanka, a meticulously crafted form of embroidery that endlessly unites Ukrainians across the globe. Stitched into each beautiful design is the history and soul of Ukraine. Skill in the embroidery is said to be embedded into the genetic code of all Ukrainians as vyshyvanky are often impeccably fashioned. Embroidery has come to symbolize the strength and perseverance Ukrainians throughout history have demonstrated, especially in the recent Russian occupation and annexation of Crimea. The unique designs of various generations are replicated in the vyshyvanky of today and reflect the respect and honor Ukrainians have for their ancestors and their tireless pursuit of freedom, independence, and victory. The Ukrainian National Museum is proud to present Embroidery: The Road to Victory, a new exhibit that celebrates the efforts of Ukrainians throughout history by showcasing a bountiful and unmatched collection of authentic men’s vyshyvanky. 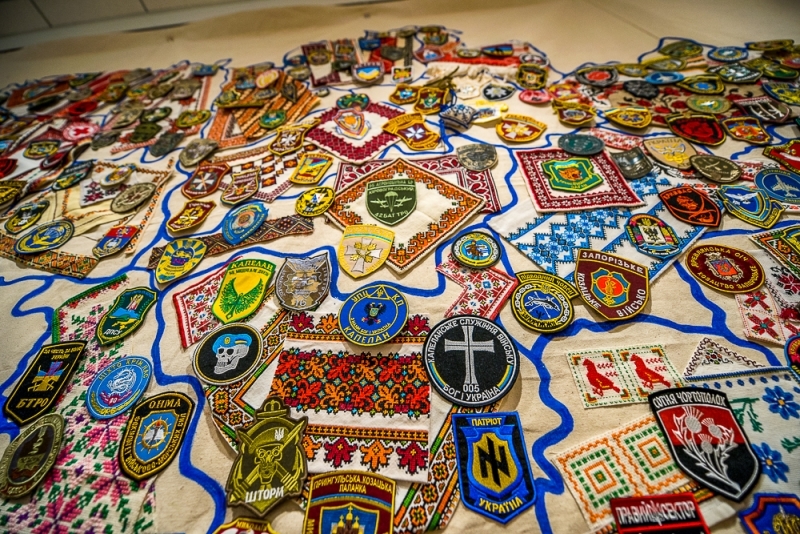 In addition to the embroidery, the museum will feature a map of Ukraine made up of the style of embroidery from each its regions and will include chevrons worn by Ukrainian soldiers. Despite the Ukrainian National Museum’s physical distance from Ukraine, this exhibit will bring Ukrainian culture to the forefront of our minds and close the gap distance has created.